Enable Finnish online banking and credit card payments using Checkout Finland's payment gateway. 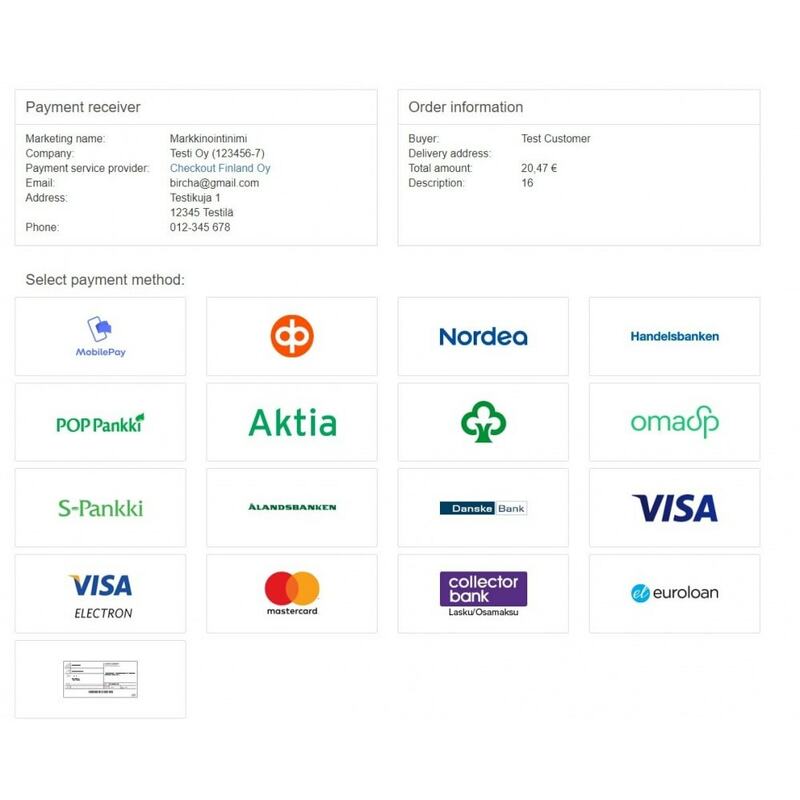 Checkout Finland's payment gateway allows customers to pay by Finnish online banking, Visa/Mastercard, Mobile phone and several other payment types. Incite customer purchase decisions by providing familiar, trusted methods of payment. 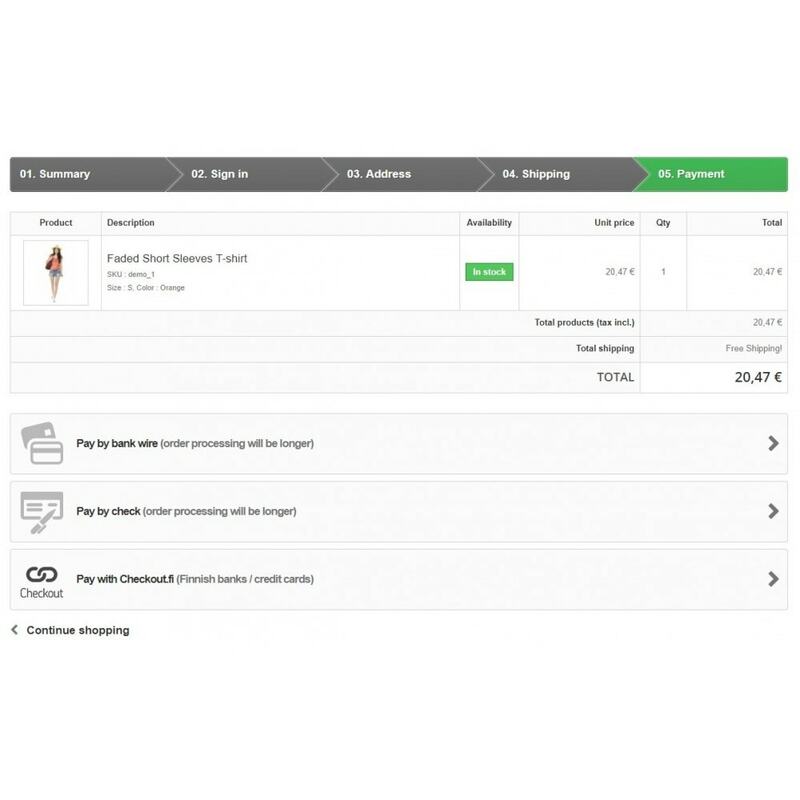 Integration with the Checkout Finland payment gateway. 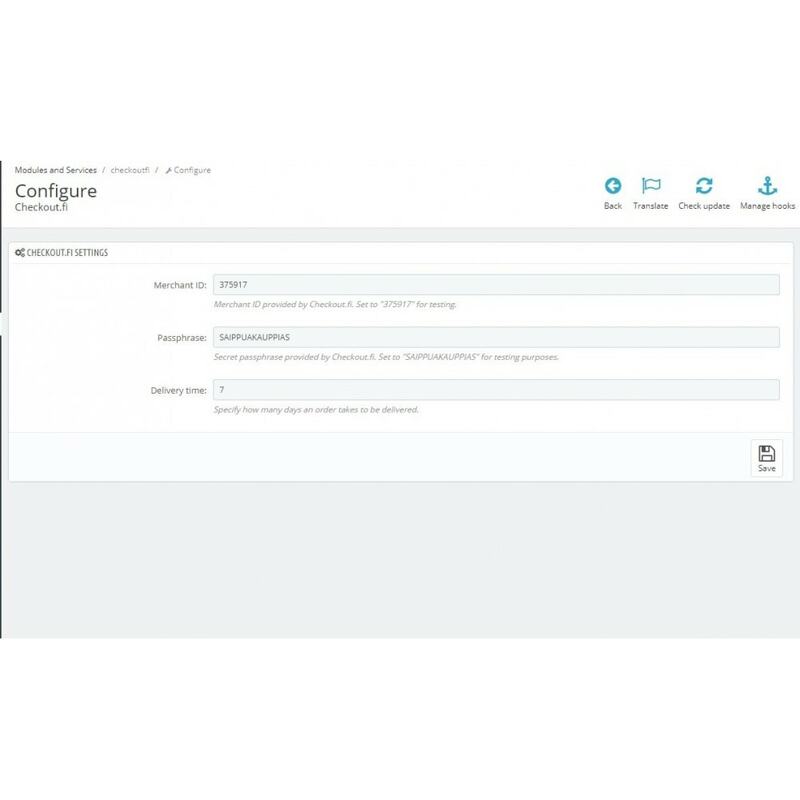 During the payment process, customers get redirected to the gateway, where they can pay using their preferred payment methods. Hassle-free payments using a familiar, secure payment method.